This is the last line of the message. Thought provoking quotation or idea here. Though this separator can be changed, we recommend that you leave it in the standard form as this is used by (properly compliant) mailers to isolate the signature block, and if necessary, remove it. 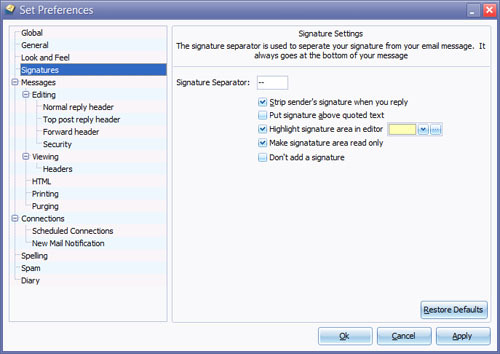 MailCOPA can strip the sender's signature when you reply, by using the standard form above. Quotes with signatures still in can be annoying.